Pizza – Is it about the Topping or the Crust? When you select a pizza, what do you look at first, the topping or the crust? The humble round flatbread sold to peasants in Naples has been embraced the world over. We love our pizzas and everyone has their own ideas on what is best when it comes to pizza. Long gone are the days where the choice is simply between pan fried or thin and crispy, with the choice of Hawaiian, Supreme or Pepperoni as your topping. The traditional Neapolitan pizza base is still a favourite the world over with its hand kneaded dough stretched out so that it is never more than 3 millimeters thick. Yet, the Chicago style deep dish pizza takes the traditional ingredients and constructs an utterly different experience for the pizza lover. The deep dish with its thicker crust is more like a pie than a pizza, and it places the toppings upside down, with cheese on the bottom. 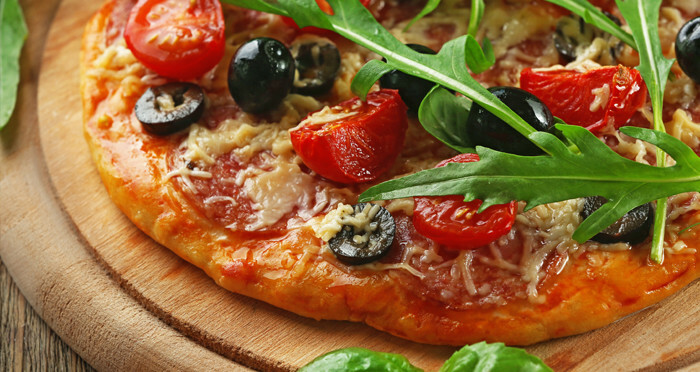 Now we have so many options when it comes to the pizza base, from cheesy crust to gluten free, or from thin and crispy to deep pan it seems the humble pizza is not so simple anymore. Yet, it can be argued that it’s the topping that makes all the difference. From the earliest stories of Rafaele Esposito’s topping of Mozzarella cheese, tomato sauce and basil for Queen Margherita it is the topping which truly reflects our local flavour and preference of taste. When it comes to toppings, the limit is your imagination. For vegetable lovers, the combination of roasted eggplant, zucchini, red capsicum, confit garlic & buffalo mozzarella (our Buddha Pizza) might hit the spot, whilst meat lovers might want to load up their pizza base with spicy danish salami, prosciutto, italian sausage, mozzarella & confit garlic (our Einstein Pizza). Legend has it that the ancient Persians cooked flatbread covered in cheese and dates on their shields. Greeks baked large round flatbreads topped with vegetables, potatoes, spices and olive oil. Yet, when we think of the invention of Pizza as we know it, consensus is that it was the Italians. Much like today, right from the start pizza has been enjoyed by us common folk. Street vendors in 16th century Naples sold a cheap tasty round bread to the poor, called pizza. Around the 18th century the story of the humble pizza took a turn when according to legend, an Italian queen by the name of Margherita took an interest in the large round bread she saw peasants eating. After tasting it, she liked it so much she asked chef Raffaele Esposito from “Pizzeria di Pietro” to make her a pizza. Chef Esposito obliged. He topped his pizza with Mozzarella cheese, tomato sauce and basil. The colours of his ingredients had been carefully chosen to reflect the colours of the Italian flag, mozzarella for white, tomato for red and basil for green. This simple pizza by today’s standards became the Queen’s favourite and the Pizza bearing her name was born, the Pizza Margherita. It’s still a favourite around the world today. At Sage we are delighted to carry on the tradition and include it in our delicious range. Our Queen Margherita Pizza is topped with Buffalo Mozzarella and basil leaves with extra virgin olive oil drizzle, on top of our perfect pizza base and tomato paste. From the humble beginnings as the food of peasants, pizzas are now enjoyed the world over. In Chicago they invented the deep dish pizza, in India the most popular toppings are are tofu, minced mutton and pickled ginger, whilst the Canadians add bacon to their pizzas. At Sage, you can try the Buddha, the Confucius or Big Kahuna? Or perhaps you would prefer the Einstein or Da Vinci? Our great selection of toppings reflects the universal appeal of pizzas and various cultural influences from around the world. Join us at Sage for lunch or dinner and whether you are a queen or a peasant, whether you prefer traditional or contemporary, there is sure to be a perfect pizza for you. Eating out is not what it used to be. Increasingly it seems dining is not just about the food, but it’s about the experience, values and expectation. When choosing your meal out, what ranks as the most important factors for you in choosing your restaurant or cafe? The health benefits of our food are often a major factor in our dining selection. Whilst there are some foods that we know we ought to avoid, whether it be a burger and chips saturated in Trans Fat, to cereals or sodas containing Corn Syrup, or anything containing artificial sweeter; the question of – what is healthy or best? – is not as simple as it seems. Today we are inundated with any number of ideas about what is and what is not a healthy meal. Low carb or low sugar? Holistic or all natural? Many buzz words tell us something about our foods, however, unfortunately not everything. Yet, what is clear is that diners want meal options which include healthy choices on their menu. For many diners, the idea of healthy is not the only factor. Increasingly, diners are concerned about whether food is locally sourced and produced. This can include preference for seasonal products, regional seafood or craft beer. It may also include knowing something of the suppliers and supply chains of the food we are served. The menu matters. Most diners are not looking for the food they could cook at home. Craving for ethnic cuisine or innovative meals factor highly in dining choice. It may include trying a meal with the latest superfood, or a modern twist on a classic. Then there is the question of how the restaurant rates on Trip Advisor, Yelp, Zomato, WOMO, or Beanhunter? This is particularly important for younger generations, although older diners are growing in their use of these sites. Eating out is not as simple as it used to be. What’s most important in your meal choice is ultimately your judgement call. Does locally sourced and produced trump innovation or client reviews? Perhaps it is simply about the taste and ambiance of the restaurant or cafe. At Sage Cafe Restaurant we pride ourselves on great food, however we also understand that your meal out is so much more. Join us for lunch or dinner for a great dining experience. All natural, superfood, probiotic. antioxidant, organic and holistic are just some of the buzz words filling our dietary vocabularies. Now, arguably more than ever, diners are more educated and have greater expectations of healthy options when it comes to their dining. Do you ever find yourself craving healthy, but you are not sure where to begin? Let’s look at some of the terms which diners consider when finding that healthy menu. Holistic food includes such things as vegetable, fish, beans, nuts, seeds, fruits and whole grains that are unprocessed. This does not necessarily mean raw food, but it would be food which does not contain any additives or artificial ingredients. All natural food typically does not contain artificial ingredients or preservatives, and food is only minimally processed. However, there are no enforceable standards about what foods can be termed natural, so what fits into this category is not quite as straightforward as we would like to think. Superfoods are great for marketing, and there is a lot of hype surrounding them – whether it be goji or acai berries, kiwifruit or perhaps linseed. Whilst there is no legal definition for superfoods, they are foods which have a higher concentration of nutrients and antioxidants than many other foods. Probiotics are essentially healthy gut bacteria, which are believed to impact our well-being. These bacteria have a role to play in our immune system, our moods, weight, as well as physical and mental health. Whilst there is a lot of debate about the actual health benefits of many of the fermented foods listed in probiotic selections, eating natural probiotics like kim chi or yoghurt are really good for us. Low Carb is a meal which is low in carbohydrates, restricting the intake of sugary foods and starches, such as pasta and bread. The emphasis is more towards real foods, including protein, natural fats and vegetables. Whilst carbohydrates provide essential nutrients, low carb meals are considered by many to be a good choice when pursuing weight loss. Organic refers to the way in which products are grown. Organic food is generally grown and processed without the use of pesticides or synthetic fertilisers. Many people suggest organic food tastes better as well, but you decide. Do you find yourself craving healthy? 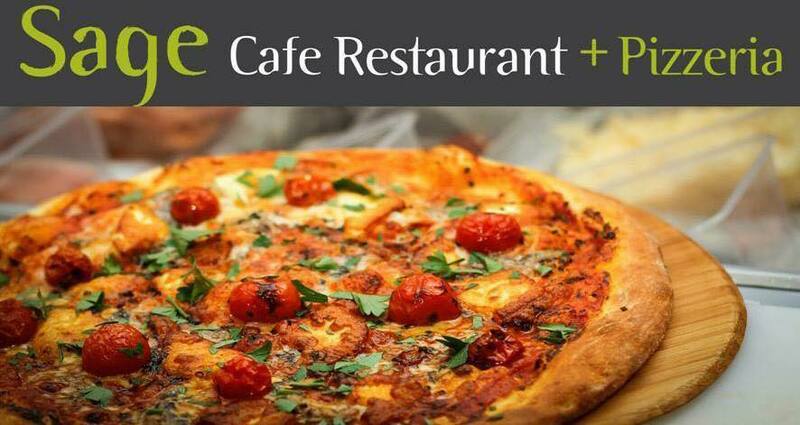 At Sage Cafe Restaurant we have a great range of healthy meals made with fresh fruits, vegetables, dairy, meat, and fish. What’s more, they taste great. Join us for lunch or dinner – Contact us to make a reservation. We are delighted to introduce our new Head Chef at Sage Cafe, Jeremy Berrell. After honing his culinary skills in Canada and New Zealand over the last two years, Jeremy has returned back to the Gold Coast, where he has previously worked as Head Chef at 1two3 Dining & Lounge Bar in Broadbeach. Combining his local knowledge with extensive experience, he has brought exciting new changes to our a ’la carte menu at Sage Café. 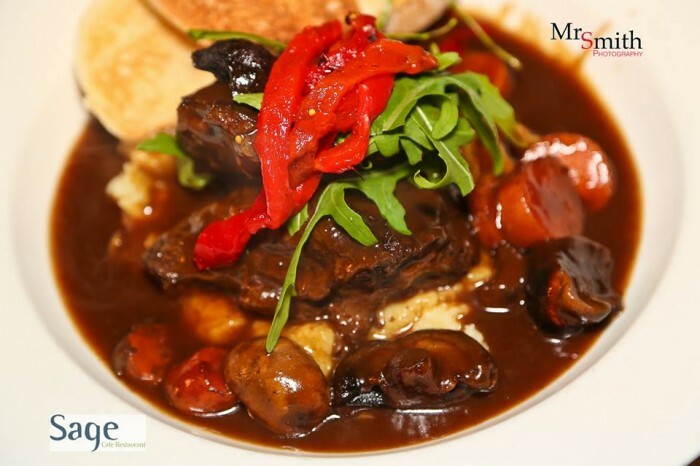 Come and enjoy one of Jeremy’s new winter dishes, like his Mushroom and Marsala Beef Cheek with Mash. Imagine beef cheeks perfectly seared to seal in the flavour before being slow cooked with onions, carrots, celery and a bottle of Marsala wine. The now tender cheeks are served with mushroom sauce and soft mash, just waiting for you to add butter and cream to your taste. It is the perfect choice for a colder winter day. • Trim any excess fat from beef cheeks, in a hot pan, or grill, sear and seal the outsides of the beef cheek. • Close to the time of being pulled from the oven, you want to boil the potatoes until soft, drain and then add your butter and cream. and mash. Season with salt and white pepper to taste. • Serve cheeks with mash and mushroom sauce. ENJOY!!! This is just one of Jeremy’s delicious new dishes that we are serving here at Sage Café. We invite you to come along and experience our new menu – why not give us a call and book in for lunch or dinner. Bon Appetite! You’ve watched every episode of Master Chef, My Kitchen Rules, and Hell’s Kitchen so you’re a culinary expert? Let’s see. Let us at Sage offer you ten unusual cooking terms you may not have heard of. You’ve probably used this technique without knowing the name for it. Barding is taking a thin slice of fat or bacon and securing to your meat. This is used particularly when the meat is lean to keep it moist and infuse it with flavour. You’ve no doubt heard this word, but not in relation to cooking. To coddle is to cook your ingredients, often an egg or fruit, slowly in liquid which is just below boiling point. If you’re British, you may know this one. A fool is a dessert made with pureed fruit mixed with whipped cream. Whilst any fruit can be used, the most traditional recipe is made with gooseberries. Whilst the British might know what a Fool is, if you are from America you are likely to know what a Grunt is. It’s a combination of a pie and cobbler made of fruit and often berries, cooked underneath a crust of biscuit dough. By the way, a Grunt is also a type of fish. Whilst a muddler can be a type of fly used in trout fishing, it is also a tool used by bartenders. It is used like a pestle to crush or muddle herbs, spices and fruits in the bottom of a glass to release their flavour. Plumping is the process of letting food soak up liquid in order to restore moisture that has been removed by drying or dehydration. In baking you might plump raisins in hot water before adding them to a mix. In short, by soaking your food in liquid it will get larger in size. This is not covering your food in plaster, but the process of cooking meats to obtain the fatty juices. Seafood lovers should know this one. To shuck is to remove the outer shell of an oyster or clam. It can also be a term applied to removing the inedible outer shell of other food items as well. You might shuck a shell off a nut or the husk off corn. Tempering is a technique normally associated with adding eggs to a hot or warm mixture in a way to prevent the eggs cooking. It is essentially the technique of mixing hot and cold ingredients so that they don’t get ruined as they come together. Weeping is when clear juices or liquids run out of a solid food, such as jellies, custards, and meringues. Unfortunately, it can ruin the taste and appearance of some foods. At Sage, let us worry about the techniques and terms, whilst you can relax and enjoy our delicious food. Did you know the word ‘steak’ is rumoured to have come from an old Saxon or Norse word, “steik”? It means meat on a stick. 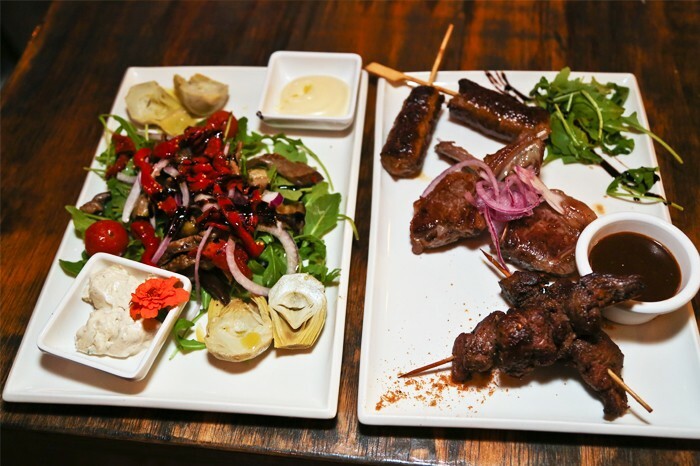 Whilst the name has stuck, at Sage Cafe Restaurant, we won’t be serving you meat on a stick. Steak today is a slice of meat cut for roasting, grilling or frying. Overcooked steak not only tastes bad, but is bad for you! When we overcook meat the fat, protein, and sugars in the meat get fused together. This makes your meat tough, hard to cut, difficult to chew and digest. On a more serious note, overcooked meat at high temperatures has been linked to cancer, especially prostate cancer for men. If you have ever felt squeamish at the thought of blood seeping out of your rare steak, there is no need to worry. It’s not blood. The juice that you see is mostly water, with a little fat and some proteins called myoglobin. It’s what gives your meat the red or pinkish colour and it’s safe to eat. Different steaks need to be cooked at different temperatures. Perhaps most obviously, thick steaks need to be cooked at lower temperatures than thin steaks, as the thicker steak can easily burn on the outside if the temperature is too hot. Also, the rarer the steak – a lower cooking temperature should be used. Did you know there are sixteen different primary cuts of steak? These range from Sirloin to Rib, or Blade, as well as many variations, which are a combination or mixture of primary cuts, such as Porterhouse or T-bone made from Top Loin and Tenderloin. If you have had one steak, then you have certainly not had them all! There is plenty of choice when it comes to steak. At Sage Café Restaurant we take steak seriously and offer a great selection, cooked to perfection, complimented with confit garlic mash, vegetables and a wide selection of sauces. 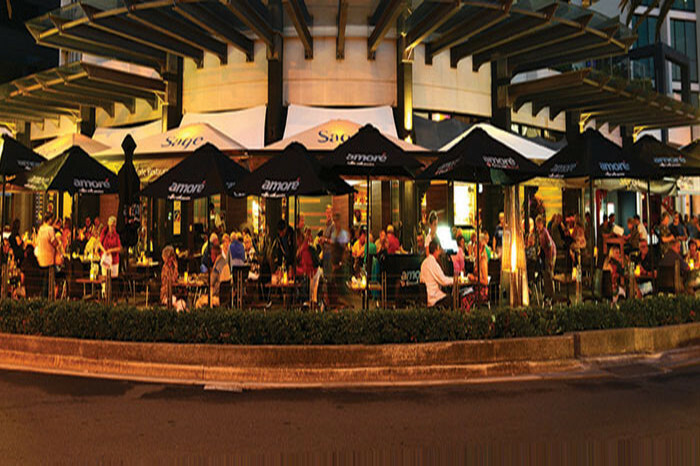 We also pride ourselves, in the fact that we are the highest rated steak restaurant in Broadbeach according to Trip Advisor! Why not join us for lunch or dinner, and enjoy steak cooked the way it should be! Have you noticed that there is something about being human where a great experience is never complete until we have told someone about it? This may be the need to tell another person about the latest movie you saw, that song you can’t get out of your head, or the great meal you just ate. Historically we shared this experience by word of mouth. We’d most likely tell the story of the perfect steak, the great service, or the delicious desert over the back fence or at the water cooler. There is something about word of mouth. We not only love giving it, but we love getting it. It’s trustworthy. It’s an honest appraisal of another person’s experience. No advertising spin. No edited review. It has no agenda other than to invite us to enjoy the experience of a trusted friend or colleague. Whilst the world may have changed, and the conversation over the back fence is less commonplace, we still yearn for information from a trusted source. Statistics show that nearly 70% of travellers will research accommodation and attractions options for their travel destination online before they leave home. This is increasingly true for restaurants and cafes as well, whether it be on Yelp, Zomato, WOMO, Beanhunter or Tripadvisor. 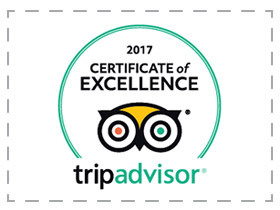 At Sage Cafe and Yellowfin Seafood Restaurant we always enjoy good reports from our clients, consistently ranking in the top 20 on Tripadvisor. Don’t just take our word for it, come and experience what others are saying “over the back fence” about Sage Cafe. Why don’t you join us or a great meal you’ll want to tell your friends about? Perhaps take a shot of your dessert with your smart phone and Facebook or Instagram it? Maybe send a tweet about the great service? Jump on a review site and get the word out. This will cap off your great experience and give someone else a gift from a trusted source. Cooking the perfect steak is easy, right! Cook each side for the same length of time, 2 minutes for rare, 4 minutes for medium and 6 minutes each side for well done. Always use tongs and only turn the meat once. But there is also the touch test. Soft for rare, slightly bouncy for medium and firm for well done. At least that is what a couple of pages on google say. The only way to get the steak crispy is to turn it every 15-20 seconds according to Heston Blumenthal. Gordon Ramsay’s tip is not to use butter, but groundnut oil. Marco suggests unless the meat has a good layer of fat then it will be flavourless. There is question of to season or not to season. How thick should the cut of steak be? What type of pan and how hot should we have the heat? Confused! How can you get the perfect steak? The only way you really know if you have the perfect steak is when you take that first bite. At Sage we take the guess work out of preparing the perfect steak and make it as easy as choosing your favorite from our lunch and dinner menus.As gold coast restaurant we talk all our steak orders very seriously and they all come with a warning “allow at least 1/2 an hour for any cooking request over medium for these steaks”. Our goal is not to give you the “quick” or “fast” steak, but the perfect steak. All the steaks from our A La Carte menu are accompanied with confit garlic mash potato, seasonal vegetables & your choice of sauce, including gluten free choices. You might want to try a steak sandwich from our lunch menu, complete with our gourmet fries. Whatever your preference, we have the perfect steak. Join us for lunch or dinner and be sure to try one of our best steak restaurant gold coast. You will know you have made the right choice from that very first bite.